Keep your home and your furniture looking their best with professional upholstery cleaning services on the Outer Banks from Carolina Pro Clean. Spare a thought for your upholstery. Day in, day out, it is your upholstery that must stand up to the most punishment as you and your guests use your home space. Whether we are dealing with a comfortable recliner that gets a little bit more use than the other pieces in your living room, or an upholstered dining set which has hosted a few too many lunches, it’s important to give your upholstery the care and attention it needs. This is where Carolina Pro Clean’s professional furniture cleaning services provide such an advantage to residents and business owners across the Outer Banks. You see, keeping your upholstery looking great doesn’t need to be a losing battle — with the right furniture cleaning services, you can achieve this with ease. Fill out the form below and let us give you an estimate for your cleaning job. It all begins with a quote. Simply enter your name, your contact details, and a description of what needs to be done, and we will take it from there. We’ll provide you with an estimate for the full price of the job. Remember to be as detailed as possible. Furniture cleaning services vary in difficulty and complexity, and we need as much detail as you can to give you an accurate price estimate. Following this, we will visit your property, no matter where you are located on the Outer Banks or in the nearby Albemarle area. This is where our team of upholstery cleaning professionals offer the best strategy to tackle those stains. Want to find out more about our upholstery cleaning service? Get in touch with our team today. Our friendly support staff is waiting to hear from you. Ready to get started? Fill out the estimate form and we will be in touch. 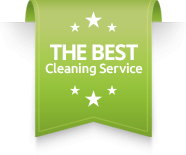 Why Choose Carolina Pro Clean for Your Upholstery Cleaning? We are experts when it comes to working with all upholstery typesUpholstery comes in a range of different types, including synthetic fabrics, natural fabrics, and blended finishes. We adopt an expert approach to all, providing you with supreme peace of mind and great results. We are a family-run upholstery cleaning company with history right here on the Outer BanksWe live here, too! Our business was established in 2012, but our history on the Outer Banks goes back way beyond this. For friendly local service, we are the team to call, and we look forward to helping you keep your home furnishings looking their best for longer. Our policy states “100% customer satisfaction guaranteed”We are passionate about what we can achieve for you and your upholstery, and this is reflected in our guarantee. 100% customer satisfaction is not something we aim for — it’s something we are committed to. Service Plans for Long-Term Peace of MindWe want to provide you with solutions you can rely on today, tomorrow, and beyond. This is why we provide service plans to help your upholstery stay clean for longer. Our team of upholstery cleaning professionals cover the whole Outer Banks areaWherever you are on the Outer Banks, we can come to you. Simply get in touch and receive your estimate, then book your session with Carolina Pro Clean — your professional upholstery cleaning company. Our track record is second to noneThere is no need to take our word for it. Head over to our testimonials page and see what our clients have to say about us. Leave your details in the form below and receive an accurate cost free estimate for your upholstery cleaning job.